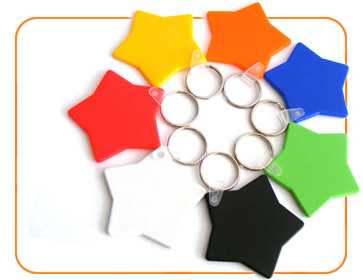 Specially for the young and the young at heart, this portable little tag oozes sunshine and optimism! Use it as a bag tag, as a ring keyholder, or even as a bookmark! Keep it close by as a constant source of inspirational strength. Remember, there is a STAR inside everyone! DIY Customisation with a permanent marker! Craft your own inspirational greeting and sign off! 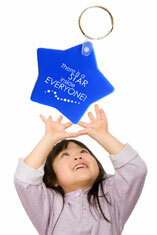 Pre-printed with our featured inspirational quote : "There is a star inside everyone!" Print your school logo in black or white! Additional orders in denominations of 80pcs in a box, $80 a box. Minimum order - $200. Free Delivery! 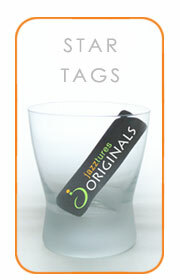 Contact your Jazztures Sales Representative now for your orders, or enquire at 6838 4001! * Children�s Day Offers end 30 Sep 2008 or whilst stocks last.